The latest ninth beta version of OS X Mavericks 10.9.3 for Mac developers and users (general public) is now available from Apple. Mac OS X Mavericks 10.9.3 Beta 9 (Build: 13D55) has been seeded and released with bug fixes, software improvement and addition of new features. Mac users and developers can Download OS X Mavericks 10.9.3 Beta 9 (13D55) .DMG Update File via Direct Links. For manual installation of OS X Mavericks 10.9.3 Beta 9 (Build: 13D55), go to Mac App Store >> Software Update tab or visit OS X Dev Center website. The official Direct Download Links of OS X Mavericks 10.9.3 Beta 9 (13D55) .DMG Update File is also available below for manual installation via iTunes. Before the official final released of OS X Mavericks 10.9.3, Apple may seeded more similar updates i.e. 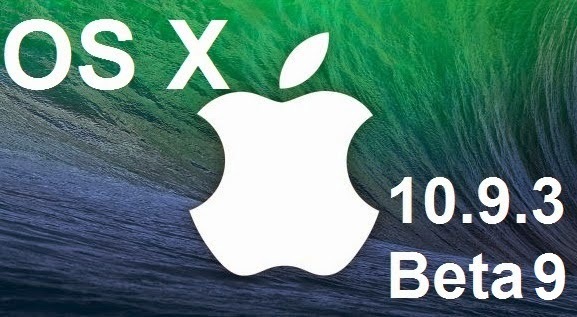 OS X 10.9.3 Beta 10 or OS X 10.9.3 Beta 11.